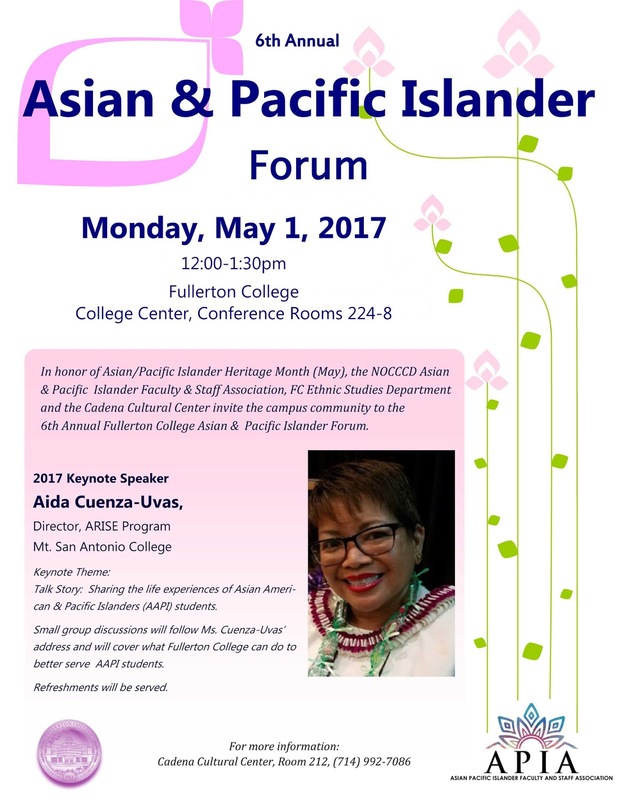 The Asian and Pacific Islander Forum will be held this coming Monday, May 1, 2017 from 12:00-1:30 pm in rooms 224-228 of the College Center. 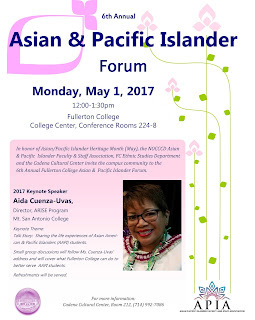 In honor of Asian/Pacific Islander Heritage Month (May), the NOCCCD Asian & Pacific Islander Faculty & Staff Association, FC Ethnic Studies Department and the Cadena Cultural Center invite the district community to the 6th Annual Fullerton College Asian & Pacific Islander Forum. Keynote Theme: Talk Story: Sharing the life experiences of Asian American & Pacific Islanders (AAPI) students.